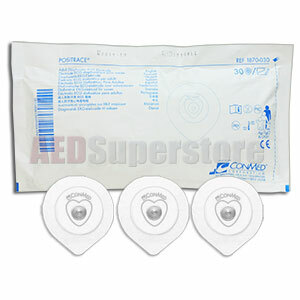 Monitoring Electrode Pads: Disposable Snap Style ECG Electrode Pads - box of 30 electrode pads. Used for patient monitoring in AED models which offer monitoring capabilities. Adult. Not made with natural rubber latex.